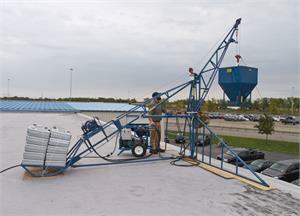 Meets or exceeds applicable ANSI specifications. 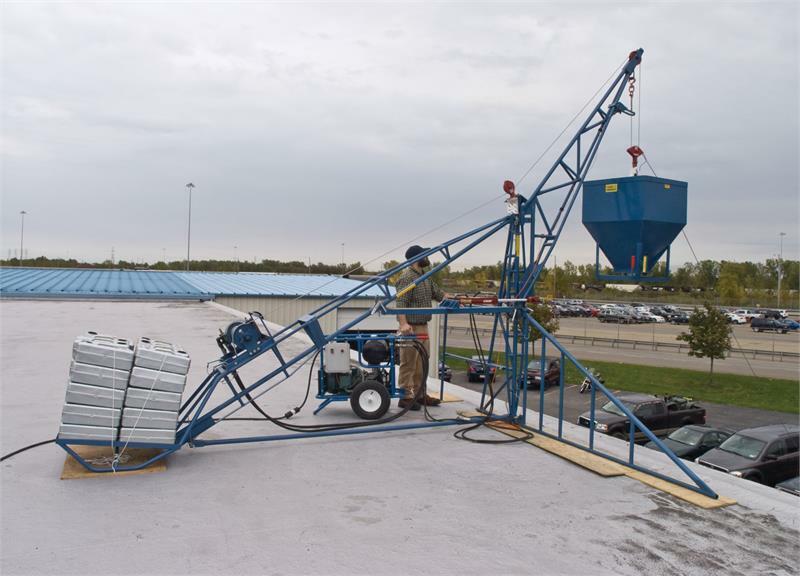 Swing boom unloads materials a safe and clear distance from roof's edge. Total up and down movement control. Split leg frame design for easy transporting. Self-locking pin clamps for fast no-tool assembly. Cable keeper for added lifting stability.